Yesterday, At-Large City-County Councillor and Minority Leader Joanne Sanders bowed out of her re-election campaign citing an increased work load at her full-time job working as a union representative. Today, Ed Treacy announced that Pam Hickman will take Sanders’ place on the ticket. Hickman ran for State Representative in District 87 and lost. Comments over on Indianapolis Times are claiming Hickman ran against the Democrat slate several years ago as well. We don’t know what on earth is going on over at the Marion County Democrat Headquarters but something is up. Rumors are swirling that Monroe Gray and Vernon Brown were working to stage a coup and vote Sanders out of leadership after the election. This is a clear indication that the Democrat Council Caucus is spiraling out of control. But is that why Sanders unexpectedly dropped out of her re-election bid? We aren’t sure but we are willing to bet there is a lot more to this story. 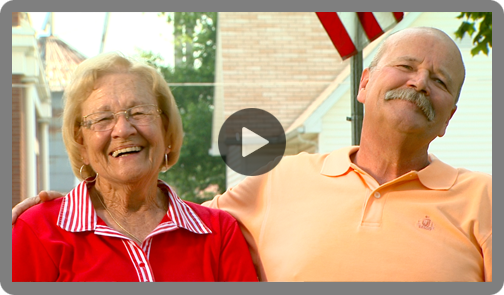 Today, John Gregg decided he should join the fun and put out a campaign video too. We’re hearing the email his campaign sent out was sent to a list obtained from the Indiana State Democratic Party. This makes sense since they have made no secret that John Gregg is their man. If it were us, we would maybe be a little more careful. Surely, the IN Dems haven’t forgotten the 2008 Jill Long Thompson debacle. Back to the video. Besides reminding us all what cities are in the state of Indiana, Gregg makes sure to put in a few jabs though we’re not sure he lands the punch. Gregg says, “We need a leader who cares more about the next generation than the next election” and has graphics saying “From Indiana, In Indiana, For Indiana” with a waving Indiana flag in the background. Gregg’s team is clearly trying to put some focus on the thought that Pence may have his sights on higher office and give a little snipe at Pence for announcing his campaign via video while he was in D.C. Nevermind the fact that Pence is a Congressman and was serving his constituents by actually showing up and voting. We really don’t expect the State Democrats to respect that type of service anyway since they supported the 2011 Walkout stunt by House Democrats. Two things seem clear to us. First, Gregg appears to be chasing Mike Pence and hoping to keep up. Mike Pence, the clear front-runner for the Republican nomination for Governor, put out a campaign video a few days ago. Now, John Gregg puts out a video. Mike Pence has raised over $300,000 just in major donor contributions since officially getting in the race. Now, John Gregg has to focus on fundraising. Second, we are going to enjoy watching this race play out, if only because we are fascinated by John Gregg’s mustache. We don’t think he needs a running mate – just make the mustache the Lt. Governor. This week had a few interesting tidbits on the upcoming 2012 campaigns. Mike Pence released what his team is calling his first campaign video. We’d say it is the second video since he announced with a video but we digress. The video is a pretty typical bio spot and appears to have been shot during his Columbus campaign kick-off. Also, it has been reported that Pence has raised $300,000 from major donors alone since making his campaign official. The Gregg campaign said they are actively fundraising but didn’t report a number for comparison. This is a big boost for Team Pence and should start the freight train rolling. Pence isn’t unbeatable yet–but he is putting himself in strong position to make himself unbeatable. The Indiana Senate race appears to be much of the same with a few blips about poor staff decisions on the Mourdock campaign. It seems they need some classes on how not to deal with people harassing your candidate. Rule #1: Don’t touch anyone or their camera. That said, to say that the blogger was assaulted is a stretch and this is really a non-story in the grand scheme of things. We are far more interested in the campaign finance reports that will come out in a month. We’ll be watching to see if Mourdock has brought in the national donor groups and boosted his fundraising. If he hasn’t, it is bad news for the Mourdock crew. In a somewhat related note, there was a poll going around northeast Indiana with a ballot match-up between Lugar, McIntosh and Mourdock. McIntosh has been rumored to be considering the 5th and 6th Congressional Districts and the poll led many to believe he was also considering the U.S. Senate Primary. McIntosh cleared it up yesterday with a phone call to Jim Shella saying he is only considering the 5th Congressional District. Looks like Congressman Burton continues to have a target on his back. Finally, the 6th Congressional District is starting to become a little clearer. McIntosh indicated he is no longer looking at the district. Matt Strittmatter, former Wayne County Sheriff, got out of the race and has backed Luke Messer. That leaves the 6th with Messer, Don Bates and Travis Hankins. We’ll be keeping an eye on this one for more developments. Unless you live under a rock AND don’t have a twitter account, you are well aware that there was a Republican Presidential Debate last night. We didn’t watch much of it but we have to say that we would have loved to watch Mitch “The Blade” Daniels slice and dice the competition in that debate. We aren’t too proud to beg him–but we know it won’t work anyway so we’re not going to waste our breath. We didn’t see anything all that impressive on the stage last night but we also didn’t watch it all. So, good readers, it is open thread time. Tell us what you think, who you like and who you’ll never support. 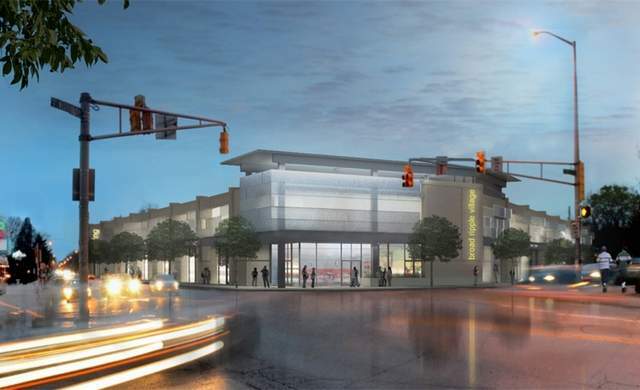 Mayor Greg Ballard addressed two huge issues in Broad Ripple this morning by announcing a parking garage will be put in on the corner of Broad Ripple and College Avenues. It will be taking the place of the old, rundown gas station on the corner. Obviously, this will address the parking problem in Broad Ripple by adding 350 parking spots in the garage. Additionally, there will be a retail area and a police station in the first floor of the parking garage. It has long been a bit risky to park your car on a side street and walk back after a night at the restaurants and bars in Broad Ripple. Adding the public safety aspect to the garage is a huge deal. The $15 million garage is partially financed through the City’s lease of parking meters and there will be public meetings in July so residents can weigh in on the plan. This is a big win for Broad Ripple. Over the last few weeks, education has become a prominent issue here in Indianapolis. This is mainly due to the likely prospect of state takeover of 7 IPS schools that have failed to meet minimum standards for six consecutive years. Superintendent of Public Instruction Tony Bennett began holding meetings at each of the schools facing the possibility of state takeover to engage the community in the discussion. Melina Kennedy came out with what she has been calling an education plan. We’ve read it and, like most of the things we’ve read from her campaign, it seems to be a lot of talk without details or action. Yesterday, Mayor Ballard gave a speech where he said he plans to request control over any IPS schools that end up being taken over by the state. He also indicated that while this opens the dialogue for mayoral control over all of IPS, he believes the first priority should be these specific schools and any expansion of mayoral control should happen based on success in those initial schools and a community discussion of broader action. This approach makes sense to us. The Mayor should show he can make a positive difference in schools before taking them all over. If they are successful in making changes to these schools, the general community will be more willing to support an expansion of mayoral control. And, if the Mayor can make a positive change, the community should be willing to support mayoral control. Our question is where does Melina Kennedy really stand on the issue?